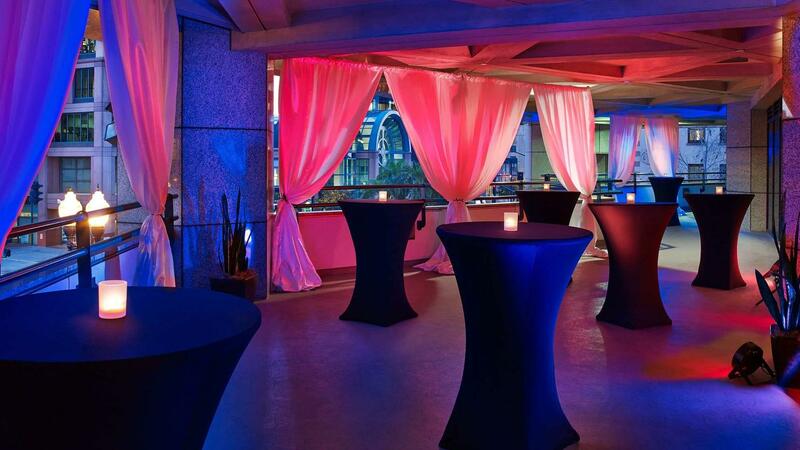 Rent The Westin San Diego | Corporate Events | Wedding Locations, Event Spaces and Party Venues. Our downtown San Diego hotel now has a distinctly upscale, contemporary feel, inspired by soothing elements of nature. With a complete revitalization of guestrooms, restaurant, lobby, public areas, meeting space, two new Legal War Rooms, and so much more! The Westin San Diego Hotel $15 million dollar transformation includes a new look and feel to 29,000 sq. ft of versatile San Diego meeting space. With enhanced catering and event planning services, and the latest in meetings technology, combined with its premiere downtown location that offers immediate accessibility to the Superior Court of California San Diego’s Courthouse and the Gaslamp, San Diego Harbor, and Little Italy neighborhoods, Westin San Diego’s renovated meeting and event spaces serve as ideal venues for meetings of all sizes, social gatherings and celebrations, and weddings. Our 5,880 sq.ft. beautiful Emerald Ballroom is now more impressive with all-new accents, carpet and lighting. It is ideal for everything from corporate meetings to social events such as weddings, galas and anniversary parties. And if you’re looking for the same level of sophistication in a smaller setting, our newly remodeled Boardroom is ideal for small groups and VIPs. It features a beautiful boardroom table with executive chairs.